Students are lobbying against increased final-year tuition fees and an unpaid placement in their final year. Trinity’s pharmacy students have called for Provost Patrick Prendergast’s support in lobbying against the double financial blow of increased final-year tuition fees and an unpaid placement in their final year. In September 2015, a new five-year integrated pharmacy programme was introduced, replacing the previous five-year system. Its fifth year of placement consists of eight months of work and three months of teaching, instead of the 12 months of placement seen in the previous system, in which they worked in a college-approved pharmacy under a tutor-pharmacist. Trinity pharmacy students are claiming that they were unaware of these changes prior to beginning their degree, which will see their final-year tuition fee rise to about €8,000, according to the School of Pharmacy’s website. Current second-year pharmacy students will be the first group of students that the changes will apply to. Previously, students completing their fifth year placement could expect to be paid for their work, earning between €19,000 and €22,000. Those who successfully complete the fifth year of the programme receive a masters qualification that is necessary in order to register as a pharmacist. Students from Ireland’s three schools of pharmacy – Trinity, University College Cork (UCC) and Royal College of Surgeons Ireland (RCSI) – are collaborating to lobby against the changes. Second-year Trinity pharmacy student and class representative, Niamh Loughlin, raised the issue at a meeting of Trinity College Dublin Students’ Union’s (TCDSU) council last week in a question to Prendergast, explaining that Trinity students were unaware that they would be paying an increased fee in their final year before starting the degree. She also spoke of how, prior to the new integrated pharmacy programme, students earned a wage while working in a pharmacy during fifth year. At the meeting of council, Loughlin spoke of how students entering pharmacy may have been counting on the wage in their final year, saying it’s a “bit scary to think of how I’m going to deal with that large deficit”. Prendergast, replying to Loughlin at council, said that the increased fee is “a typical fee for a one year masters” but that “we can talk to the Dean of Health Sciences and see if we can support you”. Speaking to The University Times, Loughlin said that the combination of increased fees and the fact that the year is now unpaid means it may no longer be feasible for some students, as they will be expected to work 45 hours a week, and it would be difficult for them to do a part-time job on top of that. Prof Anne Marie Healy, Head of the School of Pharmacy and Pharmaceutical Sciences, said in an email to The University Times that “the three Schools of Pharmacy in Ireland came together to establish [Affiliation for Pharmacy Practice Experiential Learning (APPEL)] in 2015”. The affiliation will manage the fifth-year placements, which will now be centred around “experiential learning”. 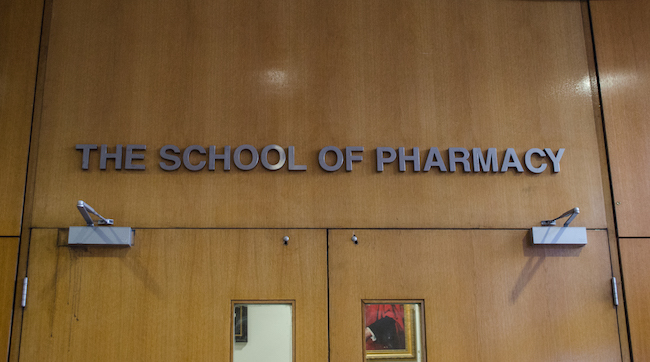 The three schools of pharmacy “will oversee the quality framework to support the common experiential learning”. The Affiliation for Pharmacy Practice Experiential Learning is the new system, introduced in 2015, for allocating placement to students in all years that is bringing forth the new changes. Under the this new system, students will only be able to specify the type of placement they wish to take and a preferred geographical location, limiting a student’s choice of placement. The Central Application and Selection Process was the old system through which students were matched to suitable placements prior to September 2015. Previously, the qualification to become a pharmacist was the successful completion of a Pharmaceutical Society of Ireland (PSI) accredited four-year Bachelor degree programme, after which students would then be eligible to apply to complete the National Pharmacy Internship Programme. The programme comprised of 12 months in-service practical training, followed by the Professional Registration Exam. Upon successful completion of this programme, students were awarded a masters qualification, and could become a qualified pharmacist. Healy said that she was “not in a position to comment on the pre-2015 MPharm as the programme is not delivered by Trinity College”, and that the School of Pharmacy “has not been involved in either the development or the provision of that programme”. However, Healy did explain that “in the new integrated programme the relationship between the student and the placement provider” will change to one of student and supervisor, rather than employee and employer. Speaking to The University Times, second-year UCC class representative Heather Eames, who has been liaising with class representatives from Trinity and RCSI, said she could understand the thought process behind this change, as it removed bias from the previous system whereby a student could give a pharmacy of choice as their preferred placement, which for students who knew someone working in the pharmacy, meant they would get picked first – especially prevalent in more competitive hospital placements. While students entering UCC’s School of Pharmacy were aware of the fifth year’s increased fees, they didn’t know that their work placement would no longer be paid. The reason for the increase in fees for UCC students is partially an attempt at bringing the price more in-line with the fees paid by RCSI and Trinity students. Eames said that they “just want to be treated the same as previous pharmacy students” and would appreciate it “if they could explain the reasons for the changes, as now we are in the dark. We would like to be kept in the loop”. Second-year RCSI class representative, Peter Patton, speaking to The University Times, said that “nobody is happy about it” and “it’s all very vague”. All three class representatives echoed the feeling that their respective colleges have not communicated the change effectively. “The system worked before for [previous students], why change it?”, commented Eames. Loughlin says that pharmacists, past students and some staff are also supporting them and that strike action is “definitely a possibility”. Eames said that students were “prepared to get in touch with their colleges’ students’ unions and even USI, if it comes to it, and lobby the students together”. Another concern raised by both Eames and Patton was the issue of safety while on placement. They felt that students working 45 hours a week as a member of a team of staff, while not getting paid, will not put in their full effort. Healy explained that in the new pharmacy programme structure “the relationship between the student and the placement provider will be one of student/supervisor” rather than “employee/employer”. “It is hoped that the new programme will give students a breadth of practice experience in a range of practice settings. The emphasis will be very much on experiential learning”, she added. However, when asked about the reasons for the change, Loughlin, speaking to The University Times, said “they haven’t told us what is going to be done differently”. Loughlin went on to say that the changing relationship was a “really bad excuse” for taking away payment. Eames said that “students don’t agree with [the change of relationship]”. Patton described the situation as “taking advantage of vulnerable students” who will be “essentially working for nothing”. Loughlin also spoke of how other healthcare professionals in their final internship, such as nurses, fought for their right to be paid, and how it has now been “so easily taken away for us”. The class representatives are keeping in contact with each other, and some have met or are going to meet with their Heads of School. Trinity class representatives have contacted both the Pharmaceutical Society of Ireland (PSI), who organised the pre-2015 system, the representative to Trinity Prof Sheila Ryder, and are planning on reaching out to Aisling Reast, Director & National Coordinator of APPEL.